Complex Training - A Simple Method To Increase Strength & Power In Golfers. Sample Workouts - Complex Training Exercise Combinations For Golfers. Important Considerations For Implementing Complex Training. The physical demands for a powerful golf swing are often misunderstood. The golf swing for the “long game”, especially when shot distance is one of the key elements, is reliant on an extremely high velocity, high force, “explosive” movement. This means we need to be able to produce a lot of force in a short period of time, similar to jumping, throwing and hitting athletes. A growing percentage of golfers can achieve 120mph club head speed. To go from a stationary position to moving the golf club at this speed requires a lot of force, and will likely require appropriate and progressive long term physical training, unless you are very lucky genetically. With the changes in modern equipment, and as more explosive athletes have started to play the game, 120mph club head speeds which used be considered the “holy grail” of club head speed, are now becoming more common, and 130mph is now the new benchmark. Thank you, Cameron Champ. Researching this article I thought it would be interesting to track the trend of how many players have averaged over 120mph clubhead speed in a season on the PGA Tour. If you don’t know your club head speed, I recommend getting it measured. It’s an important metric for everyone to know and track, as it dictates your distance potential. As can be seen from the table, there is a definite trend towards 120mph becoming more commonplace, and it will be interesting to see how it changes over the next few years. I could not find these statistics for the Web.com tour, or top college players, but it would make for interesting comparison. The table above illustrates what we already know about professional golf. Distance pays, especially in the professional ranks where everyone is already highly skilled. You may not have any aspirations of a 120mph club head speed, but for the amatuer golfer, improving club head speed is very useful for lowering scores, and making / keeping the game enjoyable. I’ve spoken to many golfers who have lost some enjoyment from the game due to a decline in physical condition, and a subsequent loss in distance. When you can’t reach holes in regulation that you once could, it can be a long day on the course, and it makes scoring well extremely difficult. We know distance is important, and we know club head speed is a critical element, and the limiting factor for distance, so let’s now delve into a very practical method of training designed to target some of the physical qualities necessary to improve yours. Complex training (CT), sometimes referred to as Contrast Training is a training method which combines a high load strength exercise, and a lower load velocity or power based exercise, of similar movement patterns into an “exercise pairing”. “High load” is relative to the individuals strength level, but usually refers to something greater than 85% of the 1 repetition maximum (1RM) in that exercise (1RM = while maintaining proper technical execution of the lift). This means you would be using a resistance that you can only lift for 1-5 repetitions before failure. Squat with 85-95% of 1RM x 1-3 reps (if you do not know 1RM, this would be a load that is very challenging for 1-3 reps). Go back to squat, and repeat for prescribed number of sets, generally 3-5 sets. How Does Complex Training Work? Why should you consider “pairing up” your strength & power exercises, as opposed to doing them in separate workouts, or during different parts of the workout? An increase in ability to recruit “high threshold motor units”. Everybody has heard of fast twitch muscle fibers. Fast twitch muscle fibers are present only in high threshold motor units. A motor unit is comprised of a nerve, and all of the muscle fibers it innervates. These high threshold motor units & fast twitch fibers are only activated and used when we apply maximal intent to move an object as explosively as possible. The actual weight or speed of the movement is less important than the intent to move with as much force as possible. It is suggested that because maximum force production is necessary to complete the heavy squat preceding the vertical jumps they can “ramp up” the nervous system and make it more effective at recruiting these fast twitch muscle fibers, enabling us to produce more power in in the following vertical jumps, resulting in a higher jump. Other factors include a change in “pennation angle”, which is to do with how the muscle fibers can interact with the tendon, and an increase in “rate coding”, which improves the strength of signal being sent from the brain to the muscle, through the nervous system. It’s less important to fully understand the mechanisms underlying PAP, compared to figuring out practical ways in which we can achieve it, and benefit from it in our training. Below, I have outlined some practical ways golfer’s can incorporate CT in their training programs, and exploit the benefits of PAP. I have provided two different CT workouts. These are labelled “Workout A” & “Workout B”. Each workout provides a heavy / light exercise “pairing” emphasising lower body, trunk, and upper body. These workouts should be separated by approximately 48-72 hours. Repeat sequence for 3-5 sets. A) Chin-up / Pull Up: 3-5 reps (A overhand or neutral grip is also perfectly acceptable) Most people cannot do a single rep with their bodyweight, so a 1RM can be hard to establish. Use enough assistance or resistance (depending on strength level) that makes 3-5 reps difficult. I suggest getting your club head speed measured, then experiment with alternating between Workout A and Workout B every 48-72 hours for 4-6 weeks, before re-testing your club head speed. As always ensure you perform a thorough dynamic warm up before starting the workouts. Potentiation VS Fatigue: Taking enough recovery time between exercises is absolutely essential. I cannot stress this enough. The objective of CT is to develop top end strength and power, NOT to “get in shape” or develop endurance. You cannot do CT effectively in a fatigued state. Rushing through the exercises will lead to a dramatic decrease in force production, and negatively affect the benefits of this type of training. Many novice trainees struggle with this element of strength and power training, but it’s a fact you must accept. You will spend the majority of your time during “true” strength and power sessions resting, waiting for full recovery between exercises. There is no way to “hack” this. It has to be done, otherwise force production suffers, and the desired training stimulus is lost. Experienced trainees become very familiar with this, and it’s something you must accept if you want to truly work on maximising force production. When training to raise the ceiling of our force production capabilities, we need to be producing maximal (or very close to it) force in the particular movement pattern. Fatigue build up from too many reps, or too short a recovery period between exercises destroys this. Training Experience & Current Conditioning Level: CT is more appropriate and effective with intermediate to advanced trainees. If you are a beginner or novice in regards to strength and power training, you can certainly experiment with CT, but you should be able to progress quite steadily with performing more basic strength and power training. You do this by performing your power work before your strength work in the same workout, or in a separate workout altogether. Beginner trainees do not need to work with loads that are 80%+ 1RM to increase maximum force production, and it’s also advisable to become familiar and proficient with exercises before loading them to this intensity. As you become more advanced however, loading must increase above this threshold to continue realising strength gains. A lack of loading in excess of 80%-90%+ 1RM in basic fundamental movements like squats, deadlifts, upper body presses, and pulls/rows, is a major gap I see in the physical training of golfers in general. Both from a performance and injury prevention standpoint. What many people classify as strength and power training is not really strength and power training. Common examples of this are when fatigue, or instability, rather than force production are the limiting factors in the exercise. This is why training on unstable surfaces like swiss and bosu balls, and exercises where a lot of stability and balance are required are poor choices, if increased strength, power, and speed are the objective. For optimal strength and power training, athletes should be performing exercises on stable surfaces, in a non fatigued state, where the primary focus & limiting factor is the production of force. Monitoring & Feedback: Depending on the technology available to you, tracking some measurements for objective feedback is a great idea for both motivation, and monitoring training results. Vertical & broad jumps can be measured quite easily with a tape measure and chalk. Medicine ball throw and bar velocity on lifts require some more technology, but are getting more accessible. Most important is that you track how your training is affecting club head speed. Confusion About 1RM’s & Loading: Some of you reading this may have no idea what your 1RM is in a particular lift, or don’t feel comfortable moving weights so close to your strength limits. Inexperience, lack of equipment and / or spotters, lack of technical proficiency, and injury history are all viable reasons that may make 1RM testing problematic and inappropriate for you. I urge you to not let this hurdle put you off completely. For the strength exercises simply working up to a weight that is reasonably difficult for 3-5 reps will suffice, and you can always increase it as you become more comfortable. The main thing is that you move whatever resistance you are using as fast as possible, whilst maintaining control of course. Regardless of the actual load being used, it is the intent to move as quickly as possible which is absolutely critical for recruiting the fast twitch muscle fibers, and benefitting from PAP. The same goes for the light / moderate load power exercise which comes afterwards. Whether it’s a jump, throw, swing etc, make sure you’re moving with your full effort and maximum speed. Remember: Force = Mass x Acceleration. Sport specific strength and conditioning training is a hot topic. As with many things, many people who comment on it tend to fall on one of two extremes. There is the people who believe that every movement or exercise performed in the gym must look like a golf swing or it’s worthless for golfers. These people tend to do / prescribe a lot of exercises that attempt to mimic or simulate the movement patterns seen in the golf swing. Common examples of this are pseudo golf swing swings with dumbbells, bands, cables, etc or sometimes include swinging a golf club attached to bands or while standing or kneeling on a bosu or swiss ball. The main objective is replicating the look of a golf swing. Without generalising too much, people with this philosophy tend to come from more of a golf background as opposed to being well educated in strength and conditioning and physiology principles. While these movements may look “golf specific” to the untrained eye, they are doing nothing to improve the physical qualities needed to increase power production in the golf swing. While they may be difficult to perform or look “impressive”, this does not mean they are effective, or worthwhile practicing. Furthermore, in relation to the specificity element, while these exercises may seem specific to golf in terms of how the movement looks, they are far from golf specific in terms of forces, velocities, and most importantly the adaptations we want to create in the neuromuscular system. The complete opposite end of the spectrum to what I have outlined above is the person who believes there is no such thing as sport specific strength and conditioning training, and believes that everyone should focus on just getting bigger, stronger, and more powerful with “traditional” gym / weightlifting exercises, and to leave any movement resembling a golf swing for the range or course. Often times these people tend to come from a powerlifting, or bodybuilding background, and this view is also limited. 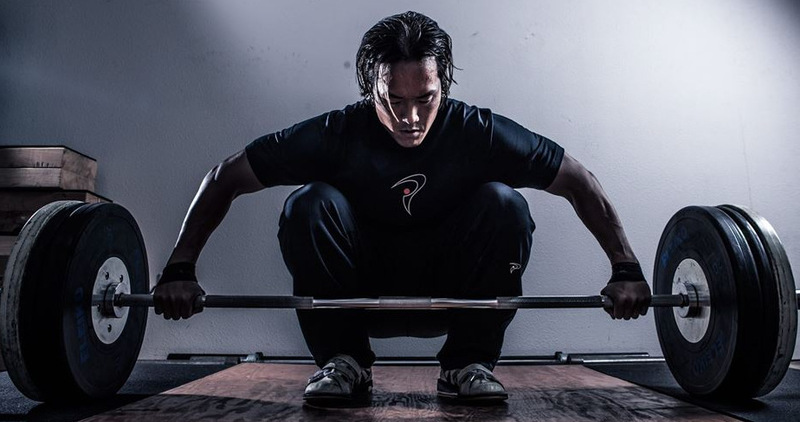 People too heavily invested in this philosophy often get caught up solely with the improvement of weight lifted in bilateral sagittal plane exercises (double leg stance, straight up and down or backwards and forwards movements. The exclusion of unilateral (single limb), frontal (lateral) and transverse (rotational) plane exercises coupled with the exclusion of lighter more velocity focused exercises, leaves huge gaps in the program. The issues with both of the views outlined above is worthy of its own article so I won’t go on. If you or your trainer does not have a clear & concise answer, then reflection on why it is in the program is advised. By focusing on transfer, rather than specificity or simulation, it’s much easier to get on the right track with your training. CT is not a new idea, and has been used successfully in the physical preparation of other sports for a long time. It’s a training method which could prove very valuable for many golfers of all levels. True strength and power development, during which golfers are actually practicing and developing the ability to produce more force is under utilised from my observations, with the needle having moved too far in the direction of mobility and stability training. The key to implementing CT effectively is to remember it’s all about the quality and intent of each and every rep you perform. The objective is to produce as much force as possible on every rep, of every exercise, free from fatigue. If you’re out of breath as you start a set, or notice a big drop off in force output from one set to the next, you’re not resting enough or you’re too out of shape to benefit from CT. If this occurs you are no longer using CT as it was intended. I cannot stress enough the difference between this type of top end strength & power training versus cardiovascular or general fitness training. Very different physical qualities and energy systems are being targeted, and we must be aware of this in our approach to training them. Do not rush the recovery periods, and do not perform more than 5 reps per set. Remember, the golf swing is a highly explosive movement, where massive forces are applied in a time span of less than 2 seconds, before a recovery time of 5 mins or so while waiting to hit your next shot. If we wish to improve our ability to produce force in this context, our training must reflect it. 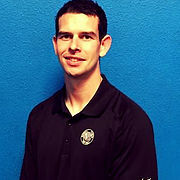 Mike Carroll has a BSc in Sport & Exercise Science from the University of Limerick, and is an accredited S&C Coach with the UK strength and Conditioning Association and TPI Fitness Level 2 Certified. He works with golfers of all levels, in individual and group settings. Currently based in Hansen Fitness For Golf, Irvine, CA. Lim & Barley (2016) Complex Training For Power Development: Practical Applications For Program Design. NSCA Strength & Conditioning Journal, Vol 38, No 6.